recommended for: Fans of Roll of Thunder, Hear My Cry, of American history, of Own Voices black fiction, of Jacqueline Woodson and Jason Reynolds. Award-winning author Tonya Bolden sheds light on a tragic moment of the Civil War in a searing, poetic novel about hope and freedom. In this powerful exploration of a little-known tragedy perfect for fans of Ruta Sepetys, readers will never forget the souls of Ebenezer Creek. 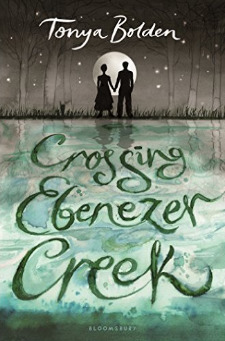 Crossing Ebenezer Creek is a short, richly detailed, soul-rending book that should be included in every middle school curriculum (or high school, but I think it'd go along well with To Kill a Mockingbird, which like everyone reads in middle school). Written by a black woman historian, it covers an event that is unpublicized and largely absent from discussions of the Civil War: the massacre at Ebenezer Creek, when hundreds of slaves marching with Sherman's army were left to drown and die when a Union general removed a crucial bridge from Ebenezer Creek, leaving them to choose swimming across the deep, turbulent waters, or being re-enslaved by the Confederate soldiers on their heels. When I started the book, I didn't realize it was talking about a real event, but the authenticity was palpable. Bolden's background is obvious. Sometimes, you read books about history and they throw in a few historical terms, some real life people. But other books feel like they were plucked from that time. The whole worldview and atmosphere reflects the period. That's Bolden's novel. It's a slice of black culture in the era of slavery. 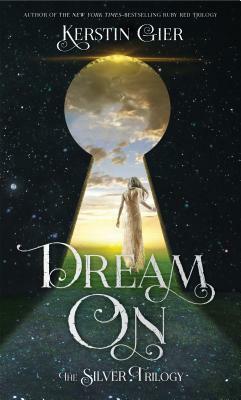 It's young adult but could easily appeal to middle grade readers, and has enough depth to interest adults. It's also incredibly poignant. While it does tell a story of black pain, it doesn't fetishize it or glamorize it. No one dies to teach anyone a lesson. There are no gratuitous details. It's simply a simply written, compelling account of fictional characters experiencing a real historical event. Because I didn't know about the massacre before I started, I was shocked at the abrupt turn of events. Angry. Horrified. Bolden follows up the tragedy with an author's note that explains the historical fact of the massacre, plus other facets of that era portrayed in the book. The note helps reduce the potential for the massacre as shock value by frankly discussing the reality of the past. In alternating chapters, it tells of Mariah, a newly-freed teenager caring for her developmentally delayed younger brother, and Caleb, a free Union soldier who exists in the uncertain space between slaves and white people. They interact with other slaves and white soldiers, some cruel (even some of the higher status slaves) and some learning kindness (but don't worry, it's not about the redemption of white soldiers). There are also real historical figures, like the magnanimous Captain Galloway who treats the slaves with humanity (but doesn't set himself up as a savior) and was, in real life, instrumental in promoting the welfare of free black people. Plus the nefarious General Jefferson Davis (the Union one, not the Confederate one), who is no less evil than the slave owners. It's a book that doesn't flinch away from the realities of the subject matter. I wish it could have been longer, a little deeper. Because it's so short, I felt there were characters, relationships, and plot threads that could have been more deeply explored. Some events, like them actually meeting Sherman, are alluded to but happen off-screen; they could have been important moments fleshing out the characters and their world. It felt rushed at times. However, it's a powerful read nonetheless--not wholly enjoyable, because it can't be, but worthwhile and affecting. It's the kind of book that could be a classic someday, and well deserved. Crossing Ebenezer Creek is the unflinching, poignant account of fictional heroes experiencing a real-life historical tragedy.